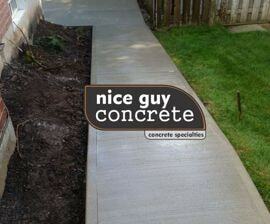 Concrete Contractors & Concrete Construction Since 2009. 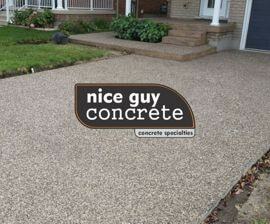 Nice Guy Concrete is a licensed and insured concrete contractor with crews in Mississauga, Milton, Burlington and Georgetown. 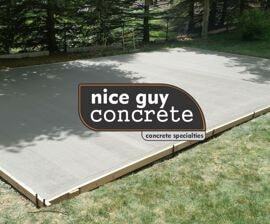 We specialize in concrete construction for both residential and commercial projects. We hold over 15 years of experience in the concrete and construction industry, working with residential and commercial clients as well as property management companies. We work with all of our customers to ensure your experience is a great as the services we provide. Our goal is to provide premium service and peace of mind. 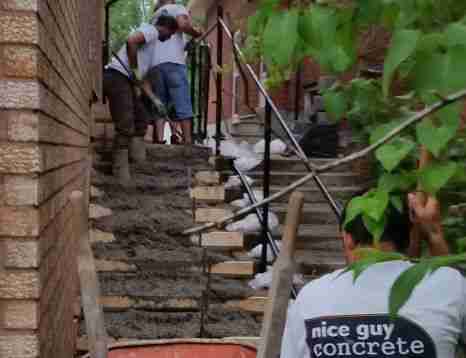 As your concrete contractor company, we provide professional and quality workmanship that includes a wide range of services: concrete driveways in plain broom finish, exposed aggregate or pattern concrete, installation of concrete driveways, concrete patios and concrete decks. 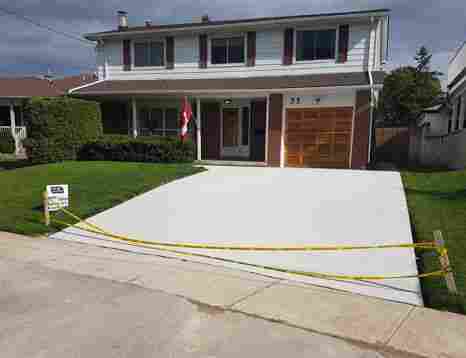 We also offer other services that include: interlocking pavers, concrete/interlocking sealing, coloured concrete, basements, garage floors and more. 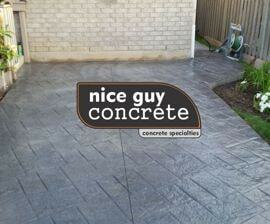 Nice Guy Concrete is a concrete contractor construction company that services Milton, Mississauga, Burlington, Georgetown, Oakville, Acton, and surrounding areas. We know that excellent customer service and clear communication are essential components of any successful home improvement. We will turn the vision you have for your home into reality. Contact us at 1-800-515-1925 to schedule a free consultation with our creative team. 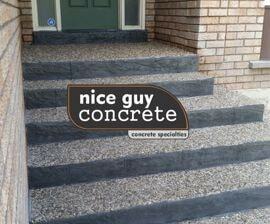 Our experienced sales representatives are here to listen to your wants and needs about your next concrete project. No job is too small or too large! 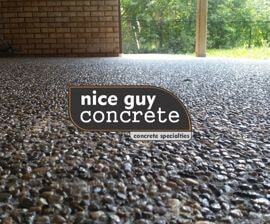 Visit services to view a list of concrete services we provide. 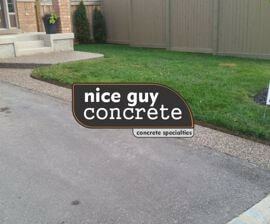 Voted #1 Concrete Driveway Contractor! 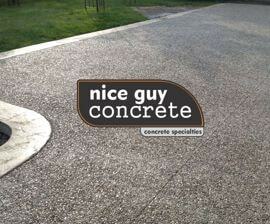 Copyright © 2019 Nice Guy Concrete. all rights reserved.